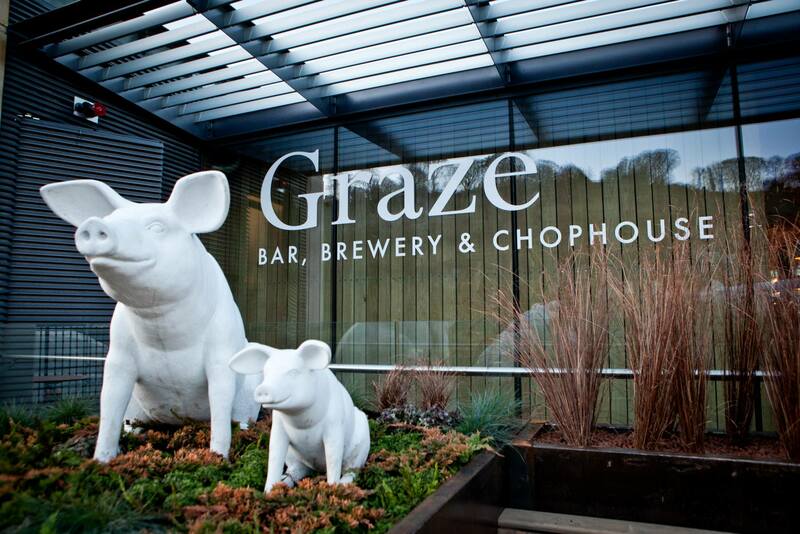 Graze Bar, Brewery & Chophouse is situated in the brand new Vaults development in Bath. 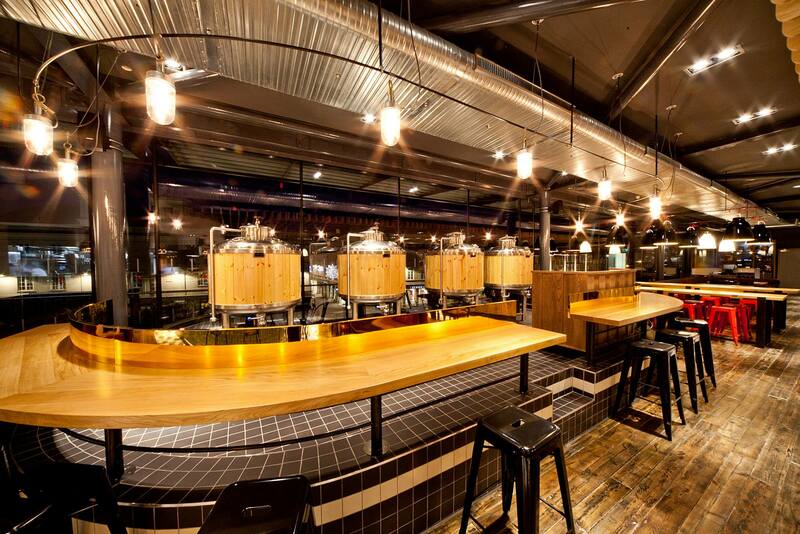 It takes the concept of its sister establishments in Bristol and Cirencester, fine ales, wines and spirits and a delicious selection of classic British and European dishes, and nudges it one step further with the addition of its own micro brewery. Arrived at 2, orders not taken, including drinks until 2.35, drink recieved at 2.50 finally out by 3.20. Restaurant half empty at the time. I ordered belly pork fully aware how fatty it can be but over half of it fat, left hungry. Below average food for an above average price. We were given the impression when booking that the venue was almost fully booked with Christmas parties but arrived to a half empty restaurant. To make matters worse we were squeezed round a table which was much too small for the number of people in our group. Wont be going back which is a shame as it is a beautiful room and the staff were friendly and professional. So disappointed. I booked online and when we arrived there was no booking. We wanted chateau briand and that was not available along with a number of other items. We come from Reading. 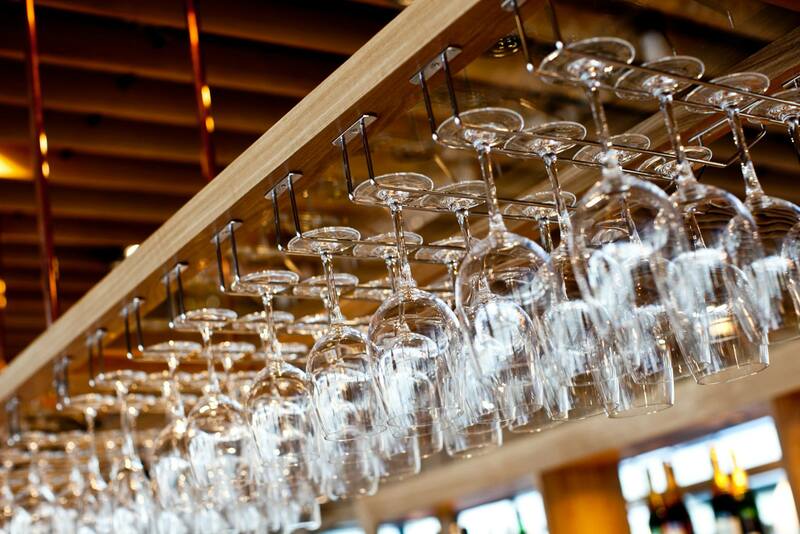 Berkshire to dine in your restaurant. Not sure we will come again. Great food / drinks and very helpful service, food delivery was a little slow but no surprise at 8.00pm on a Saturday in December - we were in no hurry. Nice place and brilliant waitress amilyia. the roast dinner was ok. but the beef was very fatty could only eat two month fulls of meat. the cheese of the month did not everything the menu stated for example veg crisps and fruit. I've never had a bad meal here. Service can be a bit variable in the summer or at very busy periods but on Sunday late morning very prompt and pleasant. We had a great time on the night, the service was a little slow, which we understood as it was on a Saturday night and it was Christmas, however we did wait over an hour between starters and main. The starter meals where presented nicely, however the pear and goats cheese was rather on the small side. We ordered some extra potatoes and vegetables that did not arrive and were offered a bottle of Prossecco as a substitute. This gesture was appreciated and made up for the error. Only one issue is that the bar was very busy and therefore drinks took along time to arrive at the table. It is the xmas season and therefore the strain on staffing must be immense. We thoroughly enjoyed our evening. Thank  you. Great place for a post shopping meal and a drink. I am recently diagnosed coeliac disease and was terrified about eating out... I was so happy with the service. There was a gluten free menu on the table when we arrived and the chef even made me up a gluten free dish of the day in line with the regular offers. I was so impressed and grateful! Thank you! We had a lovely meal (lunch) on Saturday, 6 Dec. Our waiter was very friendly and helpful. The menu was nice and varied and my salted bacon chop was delicious. Hi, thanks, we were looked after very well on Friday for our Christmas party. The only reservation re atmosphere (and this is purely personal) is that with one large room with lots of people in it and hard furnishings it makes it incredibly difficult to talk with anyone more than a couple of feet away, but that isn't something you can easily do anything about and I guess most people wouldn't even notice it. Fantastic meal with reasonably priced wine and good service. Only reason for 4/5 on value for money was the cheese board. 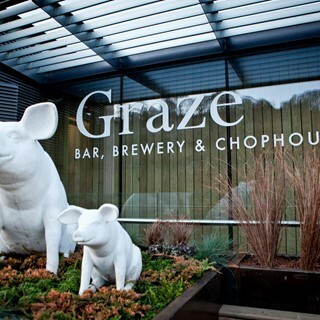 We have been to Graze many times mainly because it has a great atmosphere! this  was the first time I had booked a table as the Christmas market was on. Staff were very friendly and professional. The restaurant has a great atmosphere. Will definitely return. Christmas set menu was very nice and impressed that special requests were delivered! Very much enjoyed the meal, thank you. Had a nice evening. The food was lovely. Service a little slow at first - took ages to get out first drink, but got much better throughout the meal and as it was sat night I'd give them a pass!